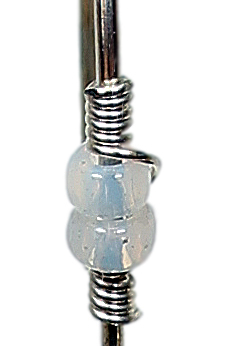 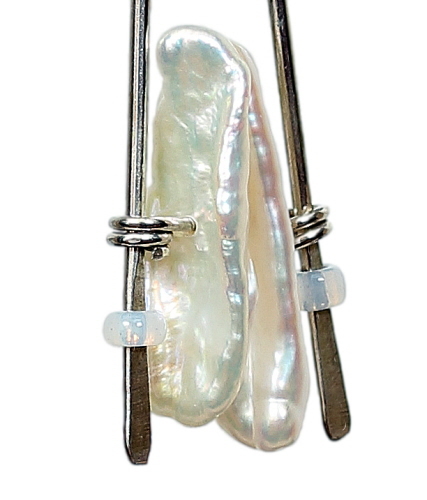 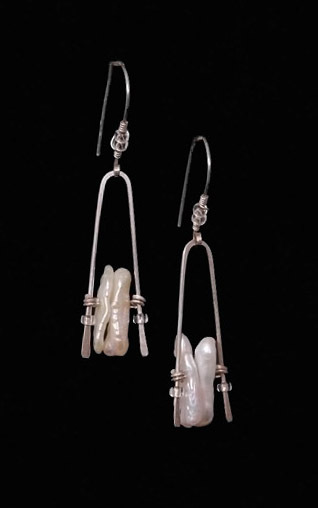 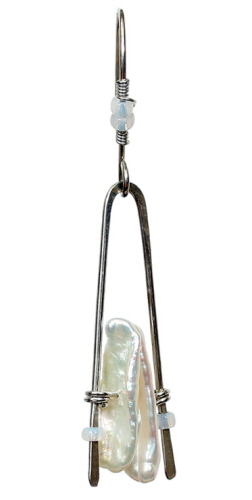 Argentium wire in 18 gauge is used to create the frame from which these stick pearls swing, hammered to vary dimension. Earwire is made by hand using 20 gauge wire. 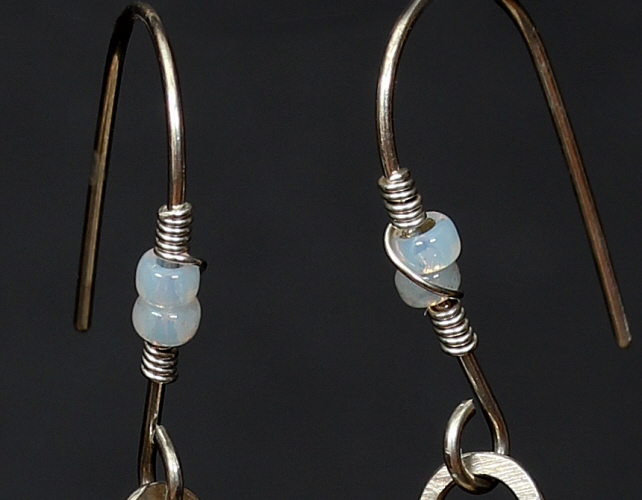 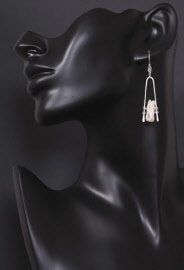 Earrings measure 2⅜ inches from top of earwire to bottom of dangle, ~⅝ inch wide.